While the pool is closed for the winter season, the paddle courts are open. 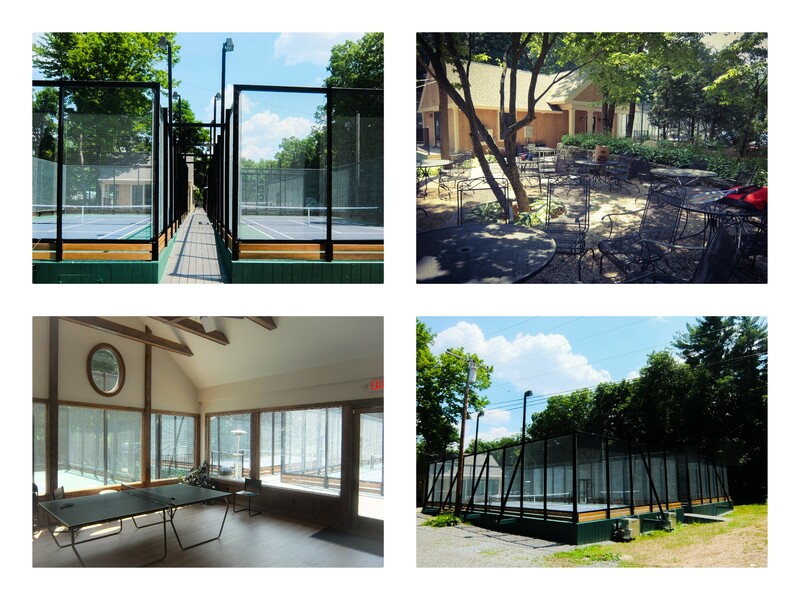 In 2015, the club has completed a total renovation to our three paddle tennis courts. They are available for play throughout the fall, winter, and spring months. A new 800 square foot, all season lodge has been completed in 2016! The clubhouse features ample viewing, couches, TV, fireplace, and a small kitchen area! This will serve as a great warming hut for our paddle players and be the host site for all of our events and tournaments. The paddle players have many events to keep them moving and motivated. Themed paddle tournaments, mixed paddle socials, Friday night events, and Saturday/Sunday Clinics are always a hit at the Field Club. J.B. Nickles is our registered APTA, Director of Platform Tennis. He will be running clinics, teams, socials, and events! Congratulations to our Ladies Greater Hartford Team. They had a fun and successful season, FFC is already looking forward to next year!